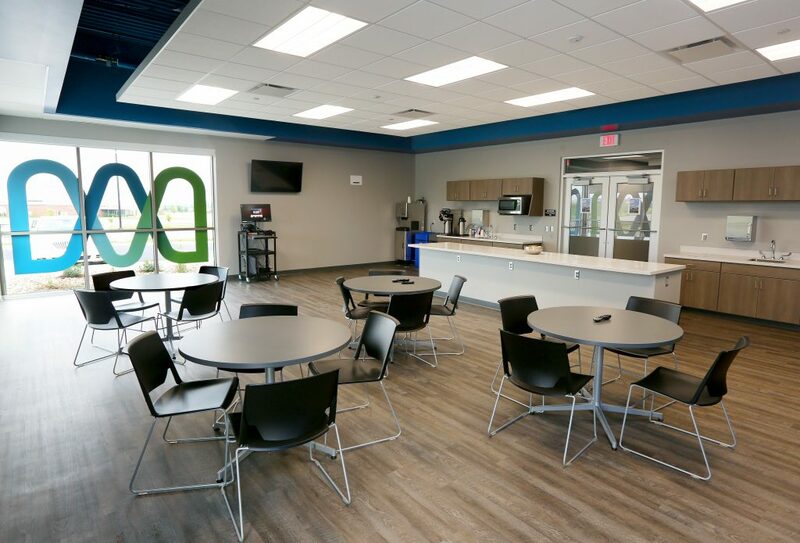 When Midco needed a team to deliver its new Technical Operations, or Tech Ops, office and warehouse on time and on budget, it turned to Lloyd Construction. 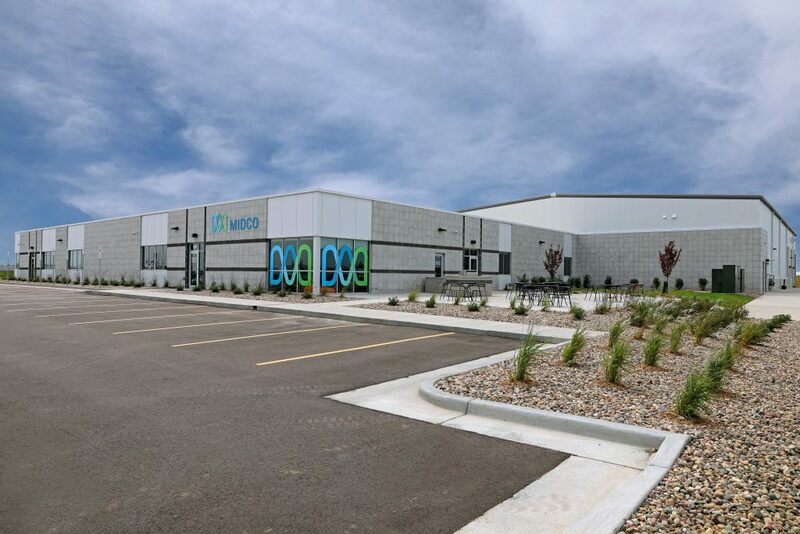 As the lease on its current space was months from expiring, Midco selected Lloyd through an RFP process to build its new $6.5 million, 30,000-square-foot facility in northwest Sioux Falls. 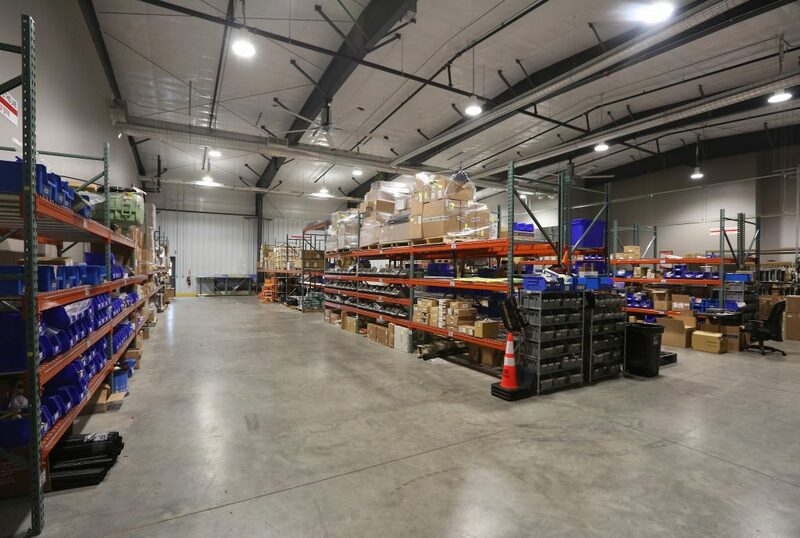 It’s home to Midco’s Sioux Falls-area operations team, which is largely field staff technicians who use the building to support their installation and service calls. 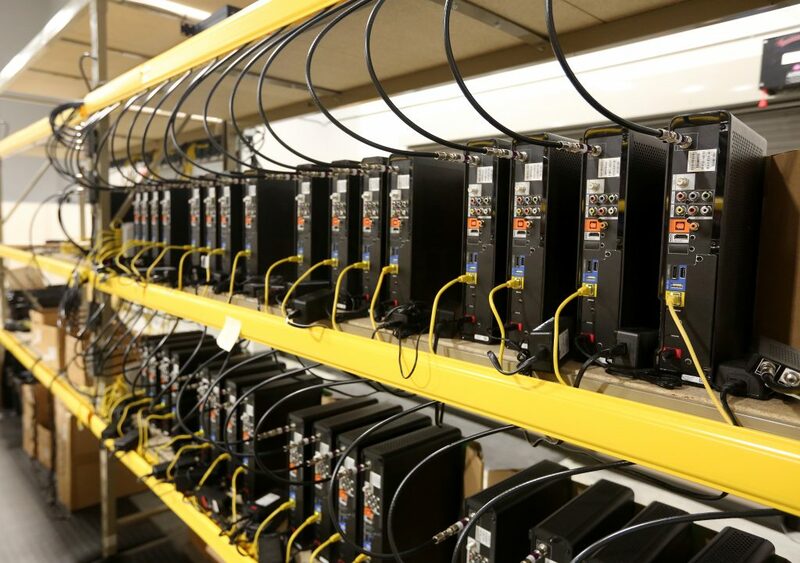 It also includes inventory space and houses the production trailers for MidcoSN, the company’s sports network. Midco and Lloyd have a long history, which Mell says gave him confidence the work would again be done on time and on budget. Lloyd built the company’s headquarters in 2007. It put on a two-story addition in 2014, creating a 106,000-square-foot building that houses about 600 team members. 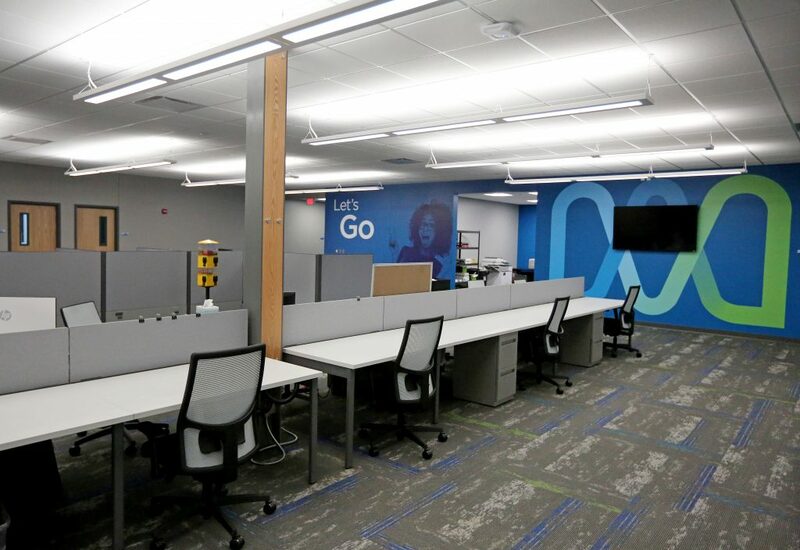 The Tech Ops building started construction in October 2017, and Midco’s lease in the building it was replacing expired in late July 2018. “It was a fast build, especially during the winter,” Mell said. And it turned out to be not just any winter. Lloyd Construction encountered below-average temperatures and plenty of snowfall. Serving as construction manager at risk, the team started tackling it. The building is split between a convention steel frame office with a masonry exterior and metal panels as accents and a pre-engineered metal warehouse with treatments similar to the office space to tie the building together. It includes a climate-controlled “drive-through,” allowing for easy trailer and vehicle transporting, a high-efficiency HVAC system and a water retention area to protect against flooding. While the weather wasn’t favorable, careful planning and intentional communication kept the project on track. “We had regular weekly scheduled update meetings with the owner and architect as our main communication, although we also we communicated frequently through emails, phone calls and texts,” Pittman said. Midco appreciated how proactive Lloyd was with recommendations and solutions when obstacles arose, Mell said. 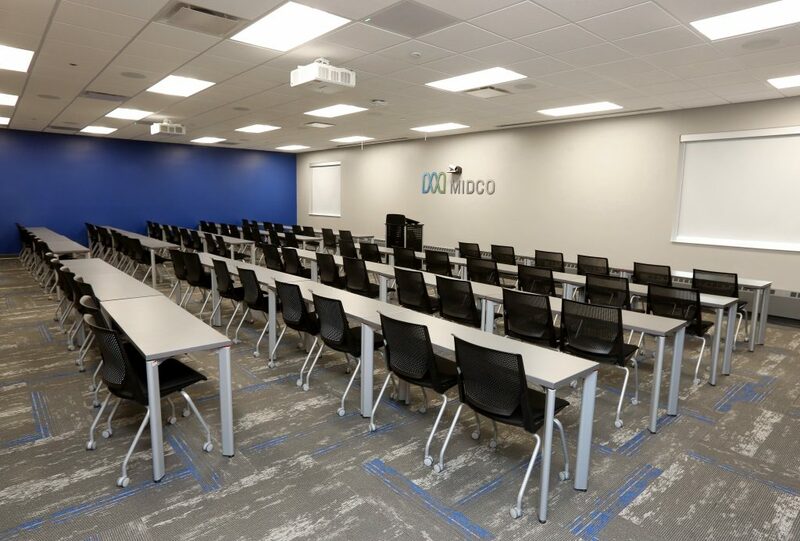 Midco moved in on schedule in July of 2018. “It was a smooth process and we’re happy with how it came together,” Pittman said. 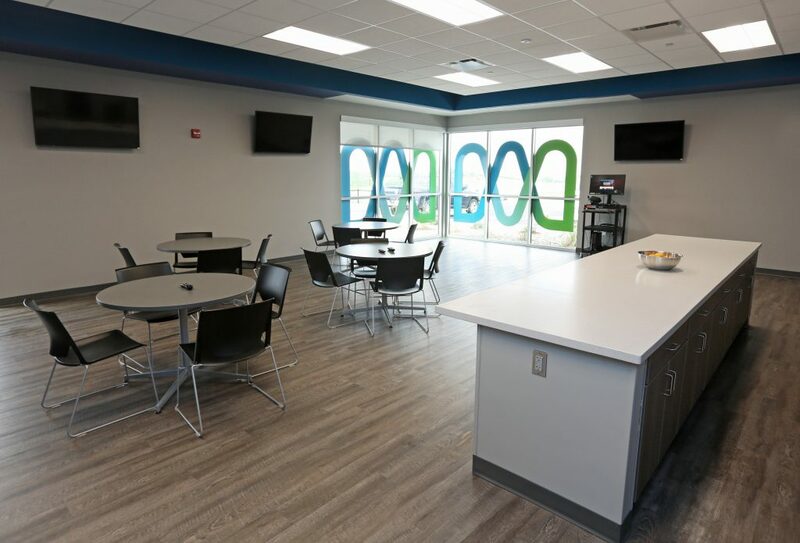 So is Midco, which already has recognized increased teamwork and collaboration among those using the building.